Rails 5.0 is now more than ready to play with. This is a quick introduction to getting it up and running and a very simple Action Cable example. Early on in Ruby, you learn to evaluate a math expression in irb. What’s the magic behind this operation? Create your own evaluation engine and find out. Why pay for an exception tracker plus New Relic, when you can get all the insights you need in a single tool? 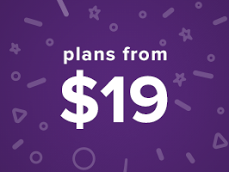 AppSignal, the European alternative, has fully featured plans starting at just $19 for unlimited hosts. Relaxed reflections on the history and meaning of Rails and Basecamp as a way to explain Rails' ongoing relevance. The final 10 minutes has the more feature-based/newsy stuff. Devdatta Kane defines JSON Web Tokens and shows how to use JWT authentication in Rails with Devise. Want to deploy Rails, Sinatra, or other Rack-based apps on to Google’s Cloud Platform? Various getting started guides and samples are available. When was the last time you created an Enumerator? We use enumerables all over the place but it’s rare to see Enumerator.new. Here’s a reminder of what they can do. Congratulations to Coraline Ada Ehmke, Akira Matusda, Anika Lindtner, Laura Gaetano, Sara Regan, Koichi Sasada, Richard Schneeman, Avdi Grimm, and Charles Nutter. For most individual users, things are now a lot better/cheaper. For many businesses, though, bills will be going up. IceNine is a ‘deep freezer’ for Ruby objects, but what techniques does it use? How to use React (the popular JS library) in Ruby by bringing it into a Cuba project. Lets you monitor and process tweets that come through in real-time. An in-depth look under the hood of Action Cable and what it’s really like to implement what DHH calls “the highlight of Rails 5”. A curious talk that moves between RSpec, Rails 5, and keeping the Ruby flame burning bright. Trix is a WYSIWYG editor originally built for Basecamp. Rubyists have always been keen to pick up other, complementary languages. Kir shares his thoughts and observations from this year’s RailsConf. When people depend on your Ruby apps, you need Honeybadger. We give you complete visibility into production problems the moment they happen, try our tools for free.